Home renovation apps remove the intimidation factor from home design projects. Home owners and renters looking to redesign or renovate can turn to apps to help simplify the process and get the job done sooner and more efficiently. As home spending ramps up, web and mobile apps aim to ease some of the pain and expense. A free web app called Sweeten links homeowners to contractors, interior designers and architects to help create their dream house or apartment. “Home renovation is a big ticket item that can almost be the same price as purchasing a home. It’s intimidating to a lot of people,” said Jean Brownhill Lauer, founder of New York-based Sweeten. After a user posts the project through the app, Sweeten finds experts for projects that can range from simple bathrooms to housing developments. The company monitors the projects and contractors and gets feedback from the home owners to ensure quality. Sweeten is available in New York City and is expanding throughout the US. 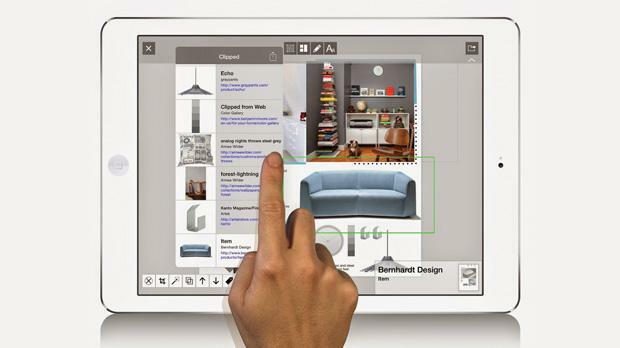 Another app, LikeThat Décor, takes the guess work out of finding the right type of furniture and decorations. Users point their smartphones at a piece of furniture, or a particular pattern they like, to find complementary items that might match in the home. “When you’re searching for a piece of furniture like a sofa, you’ll usually start by taking a look at what’s available in the market. Maybe you’ll go to different stores to see what’s new and trendy, or try out a site like Pinterest,” said Adi Pinhas, founder of the California-based company Superfish, which created the app. “But at the moment when you’re trying to find something similar, or trying to source where to buy an item you saw... it gets challenging,” he added. The free app for iPhone, iPad and the web, which is available in the US, uses image recognition technology to search millions of products from more than 4,000 stores, including Zara Home, Gilt and Ikea. It also provides a link for users to purchase the items. Home decoration app Houzz, free on iOS, Android and the web, lets people search for design ideas using search terms to describe the item and see how people have styled similar pieces. More than two million design photos are available within the app. Houzz also connects users to a community of local designers, architects and contractors, who are reviewed on the platform.